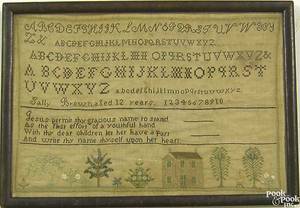 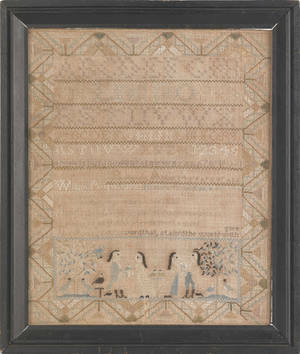 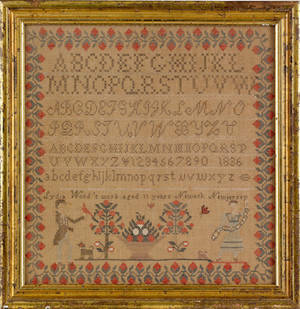 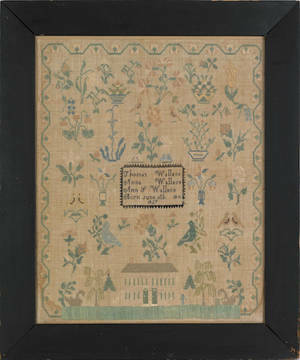 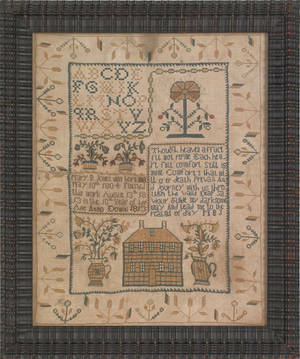 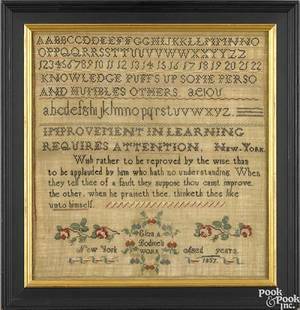 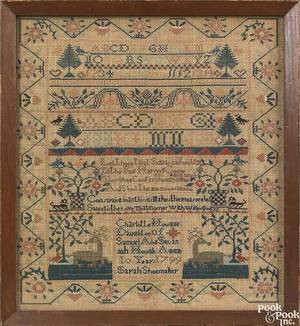 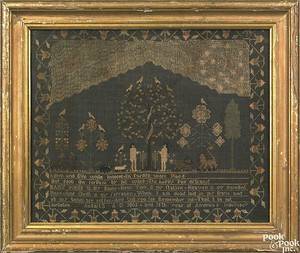 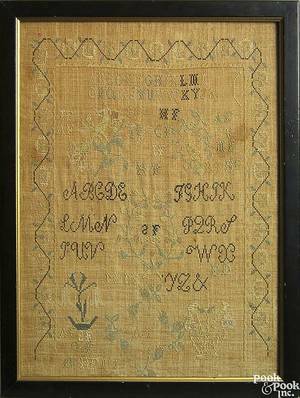 New England silk on linen needlework sampler , inscribed "Mary Thomas 1793", with central lower script flanked by columns holding flower pots, tree, intricate birds, alphabet, and tulip border worked in satin cross, openwork, and various other stitches in shades of green, gold, yellow, red, blue, tan, and white, 24 3/4" x 20 1/2". 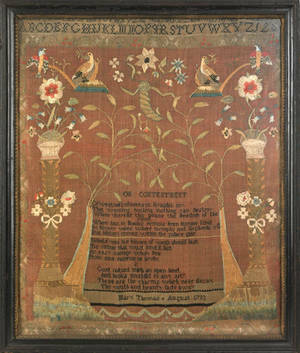 A copy of the original bill of sale accompanies this lot. 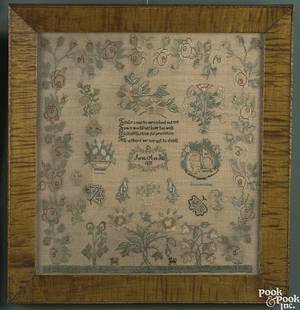 Provenance: Joe Kindig, Jr. & Son Antiques 1969.